Hear ye, hear ye. Gather round to here a tale most wondrous. Of mighty Franco Scaramuzza of ye olde Nashville, and the vile thieves who were no match for his blade and cunning. OK, before we go completely off the rails, here’s what happened. 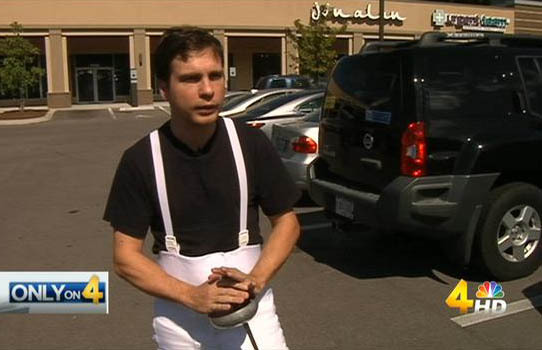 Scaramuzza, a fencing instructor, was leaving work when he saw two muggers accost a couple, pepper spray them and take off with their belongings. “The first thing that went through my head is somebody should do something, and that’s when I got really upset and disappointed with myself, because I realized I had the opportunity to do something,” Scaramuzza told local NBC affiliate WSMV.